Scallywaggs was first licensed by Jean Ennor in 1988 and catered for 35 children with one qualified teacher working with the children. Today we have expanded into providing Early Childhood Education and Care services to over 600 families. Scallywaggs is proud to have 25 qualified teachers, along with educators and support staff who ensure that children in their care spend their time in safe, secure educational environments. We invite you to browse through our website and find an educational care option that will suit your families needs. To contact us please click on the 'Contact Us' in the top right hand corner of our web page. At Scallywaggs we value the diversity of our families and aim to develop respectful partnerships where cultures, values and aspirations are acknowledged. Our passionate kaiako pride themselves in offering an environment that is welcoming, fun, nurturing and stimulating. Each child is unique and as such we provide a program which will support and celebrate their individual milestones, strengths and emerging skills. Strong attachments are formed with every child enabling the opportunity for children to develop confidence, independence and resilience through play based learning opportunities. Successful transitions are supported between centres when children are developmentally ready. 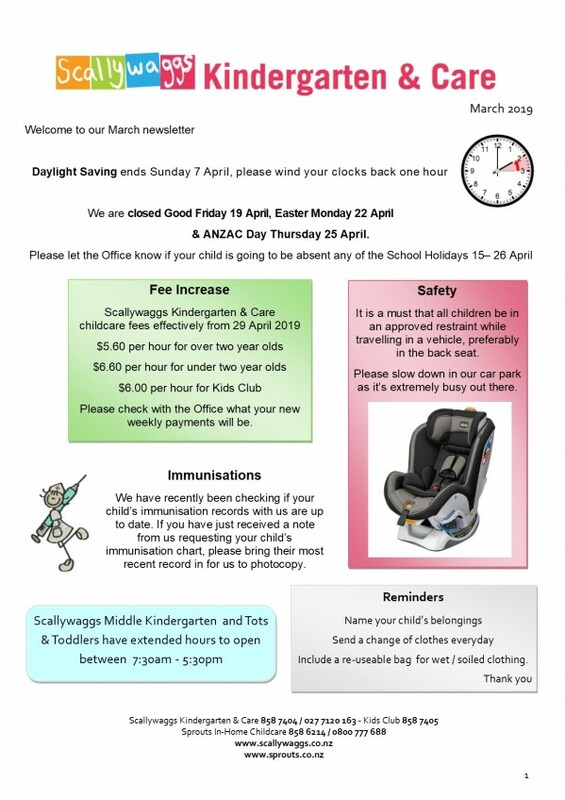 Scallywaggs Kindergarten are the proprietors of Country Kids in Norsewood. Country Kids is a mixed age centre catering for children from 0-5years. A small family friendly centre focused on quality education and care. Children are able to grow in confidence and care for themselves, others and the environment. From here you are able to access the latest newsletters, contact Management, Head Teachers, our adminstration staff and see what is happening in all of our centres. Our aim at Scallywaggs Kindergarten & Care is to ensure ongoing quality education. This enables our parents to be assured of the highest quality service performance. As a result, we provide our teaching team with in-depth professional development.